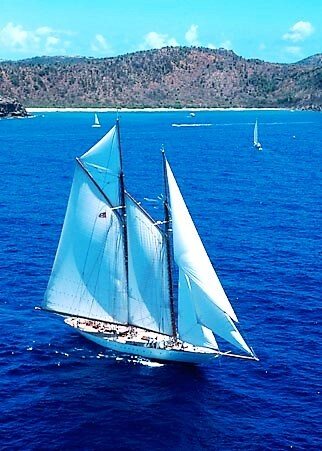 Classic yacht Eleonora E is an impressive ‘modern classic' auxiliary gaff schooner built in 2002 as a replica of the mythic Nathaniel Herreshoff schooner Westward. 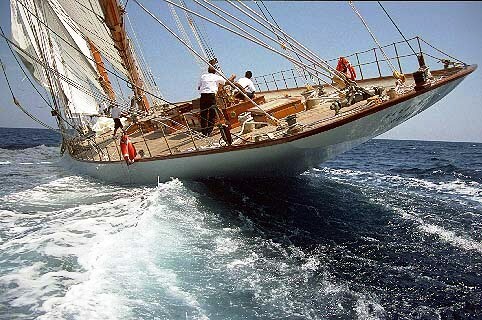 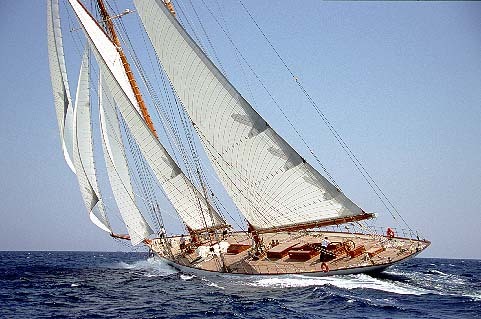 Sailing yacht Eleonora E is classically elegant and an magnificent when cruising under full sail. 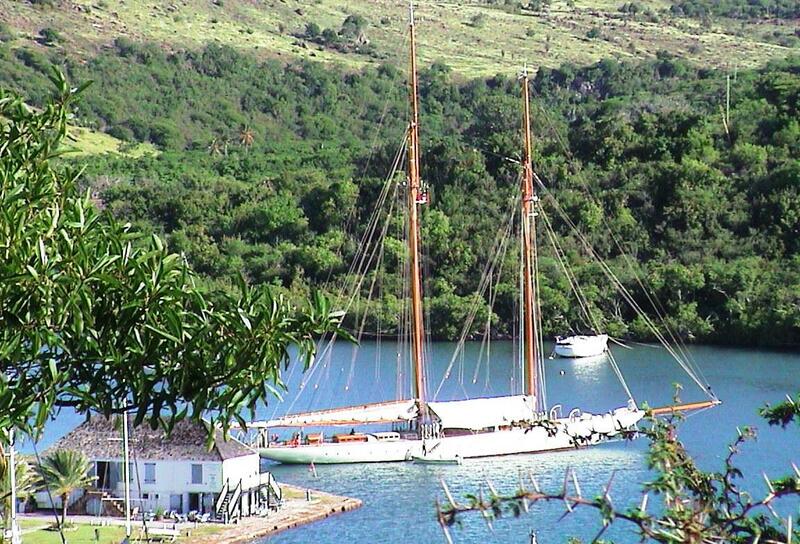 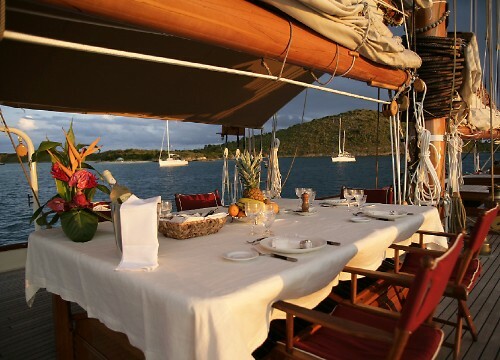 She is available for charter in both the Mediterranean and Caribbean waterways. 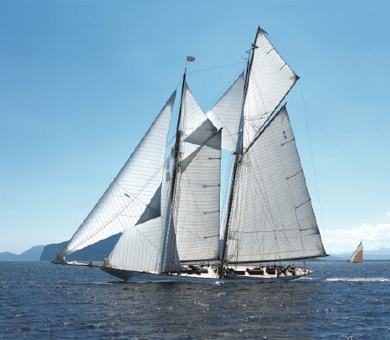 Being a modern classic yacht she offers authentic traditional looks and sailing performance as well as superior modern comfort and convenience. 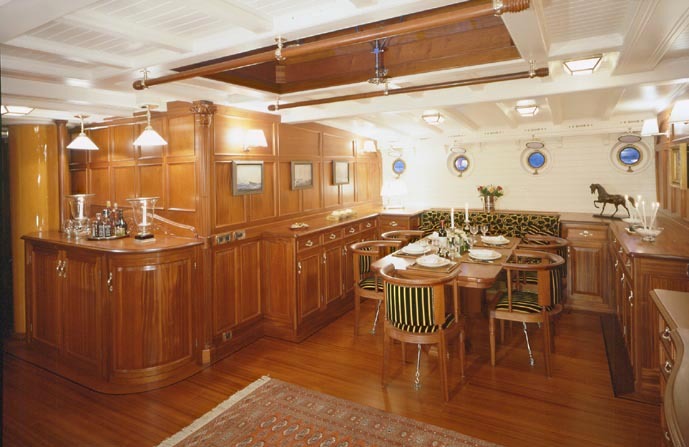 She provides a very spacious uncluttered deck has provision for a large exterior table and seating with pleasant and stylish surroundings. 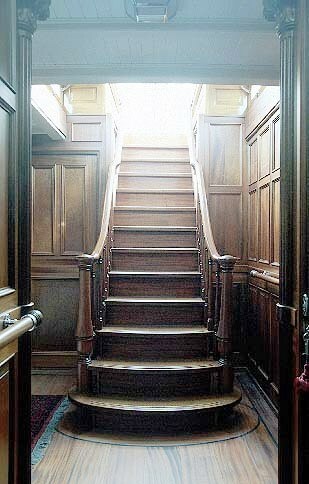 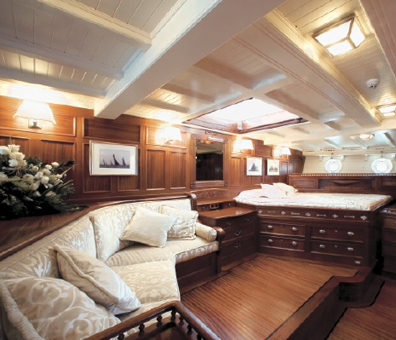 Eleonora E has beautiful wood paneling inside which gives a feeling of understated elegance, grace and style. 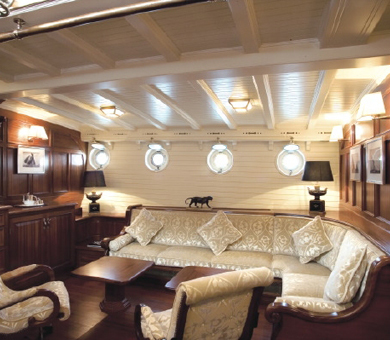 She features a generous number of portholes and skylights provide a feeling of well light spaciousness with the traditional wooden decor. 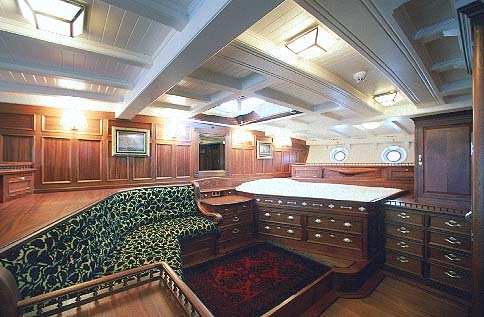 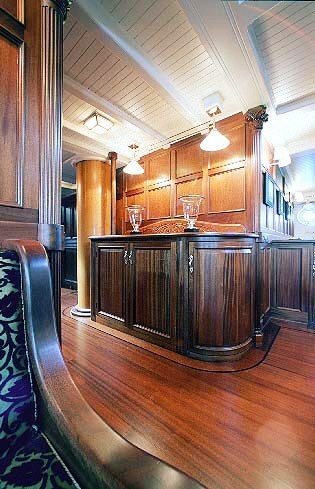 For instance her roomy saloon spans the entire beam of the yacht. 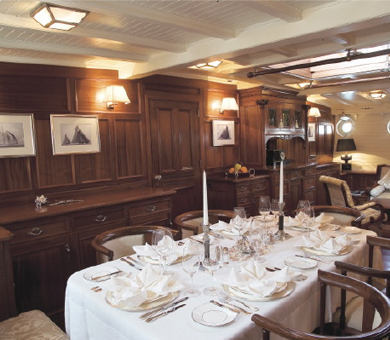 Eleonora E’s staterooms echo the elegance of by gone age with many fittings specially commissioned during her construction. 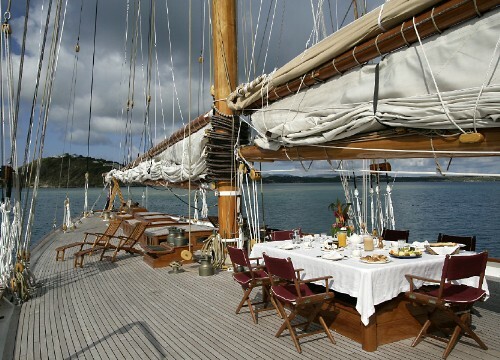 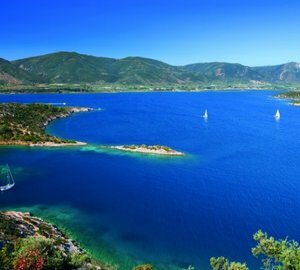 Sailing yacht Eleonora E provides charter accommodation in the Mediterranean and Caribbean for up to eight charter guests. 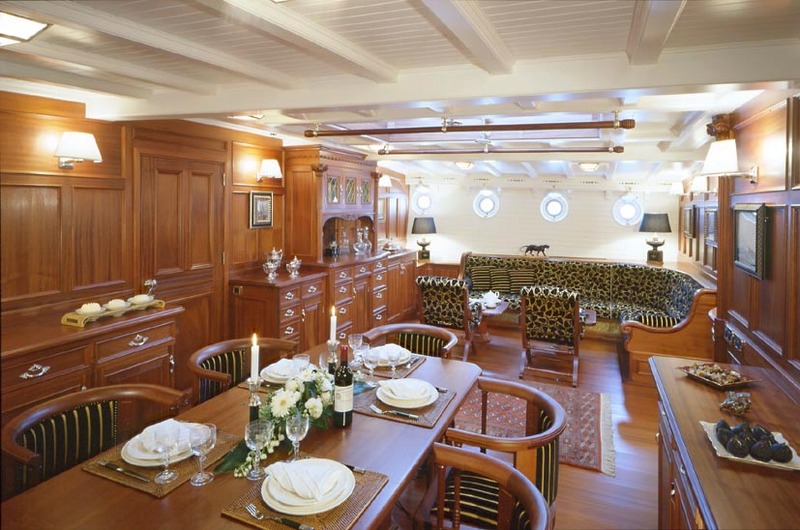 She has in one full width master suite with an en-suite bathroom (with bath) as well as two double and one twin guest cabins, also with en-suite showers. 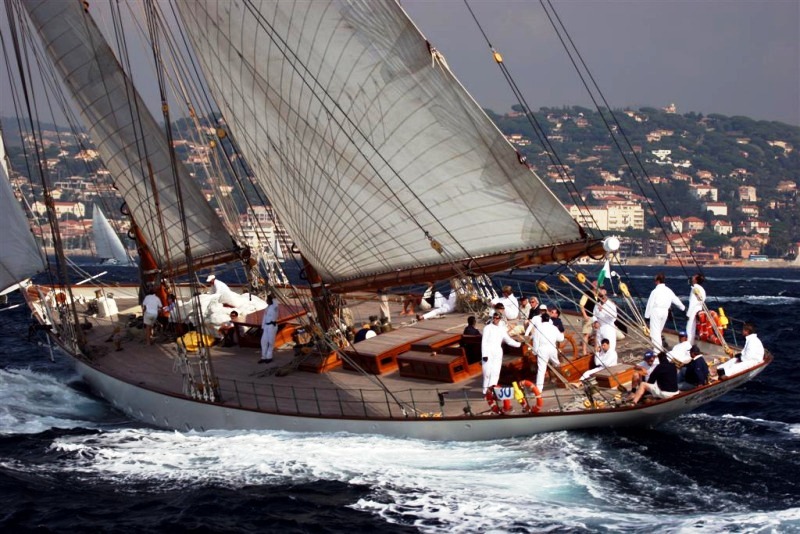 Sailing yacht Eleonora E has the following yacht charter amenities and water toys: For Tenders & toys she has a Novamarine 460 RIB with a 50hp Yamaha outboard. 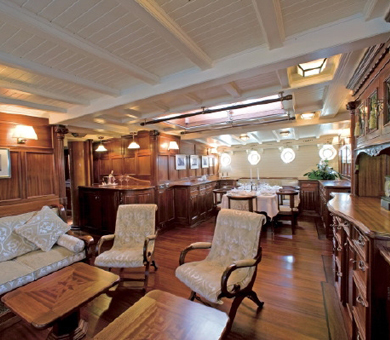 For Electronic Audiovisual equipment she has a TV, video, DVD and HIFI in the main saloon and a CD player in master suite. 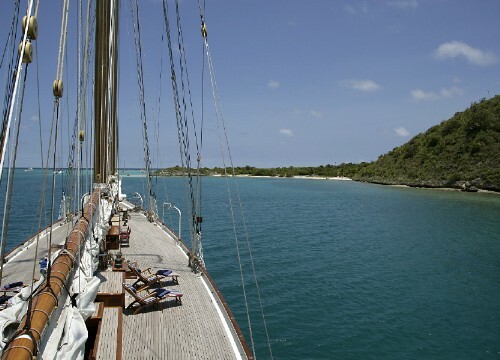 Navigation equipment, Radar, GPS, VHF, Nav tex receiver, SSB, Sat phone and fax with Internet access.